NK Architects' 2nd Annual "Knowledge and Networking" Event for Atlantic Health Morristown Medical Center was held May 16, 2017 at the Park Avenue Club in Florham Park, NJ. Ben Lee, AIA, CFO and Managing Director, Healthcare Practice, NK Architects, and President of the American Institute of Architects, NJ, spoke about NK's longstanding commitment to Morristown, community wellness, and NK's leadership in behavioral health facility design - advocating health and wellness in our communities, while helping individuals, businesses, and municipalities work together to achieve these goals. As President of AIA-NJ, one of Ben Lee's primary missions is to raise awareness among architects about how the design of the built environment can impact health and wellness. 1. The American Institute of Architects in the Joint Call to Action to Promote Healthy Communities. This brings together eight national organizations calling upon members to collaborate with one another to create healthier, more equitable communities. American Institute of Architects, American Planning Association, American Public Health Association, American Society of Civil Engineers, American Society of Landscape Architects, National Recreation and Park Association, U.S. Green Building Council, and Urban Land Institute. "Through the understanding of the stages of every age group, we have a better understanding of the design needs at each stage of the life cycle, from birth to end of life care. There are different needs for building type design at each stage of our lives in Education, Workplace, Retail & Commerce, Public and Institutional facilities." 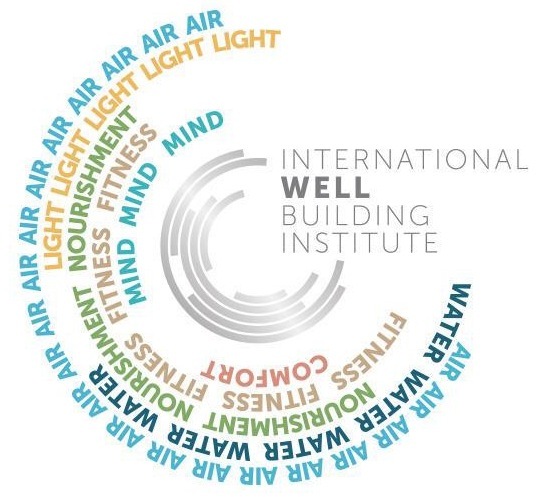 Ben discussed the Well Building Standard and how architects are embracing the positive effects that good design can have on well-being. Read more about Ben's thoughts on the relationship between the built environment, health, and wellness here. Also presented were numerous Behavioral Health Facility projects either completed or on the boards by NK Architects, demonstrating these principles in action and supporting the position that Behavioral Health is Essential to Wellness. Including Carrier Clinic, where Ben Lee & NK Architects were recipients of the Kindred Spirit Award for significant accomplishments in the field of mental health. Establish integrated project development teams that include partners from the Joint Call to Action signatory organizations to focus on health. Engage with community members, form coalitions, and collaborate with organizations to understand health challenges and devise strategies to address them. Engage with government officials at the local, regional, state, and federal levels to encourage policy makers to prioritize community health and reduction of chronic disease through investments in the built environment. Seek opportunities to build relationships through events and continuing education sessions hosted by the signatory organizations and other professional organizations. Use health evidence and community input to understand public health challenges and opportunities. Anticipate the short- and long-term impacts of decisions regarding the built environment on the health of residents, visitors, and the community at large by establishing improved health as a primary project or plan goal. Establish metrics for health and well-being concurrently with other project goals and measure health impacts and outcomes after projects are completed. Devise strategies to improve health during the entire life cycle of project planning, design, construction, operations and maintenance, and programming through cross-disciplinary project teams. Advocate for and adopt voluntary codes, policies, and guidelines that promote physical and mental health for people of all ages, abilities, and incomes. Implement planning and development solutions that improve opportunities for physical activity, access to healthy food, healthy indoor and outdoor environments, and social connectedness. Establish internal organizational policies that promote health within workforces, including worksite safety and workplace wellness programs. Work with your national organization to integrate health into certification programs and industry standards for the design and operation of buildings and communities. Share stories about successful health-promotion efforts and emphasize health as part of project marketing campaigns. Articulate opportunities to improve health and social equity as it relates to your profession when engaging with colleagues, clients, and the public. Participate in and collaborate on public awareness and education campaigns to promote healthy communities, including campaigns related to sustainability and community resilience. Join local advisory boards and nonprofit organizations to support efforts to build or establish health-promoting civic investments, including those in parks, schools, and libraries. Ben Lee is the 2017 president of American Institute of Architects’ New Jersey Chapter. He is a registered architect in 25 states and the District of Columbia, and a board-certified healthcare architect. He is also a member of several other professional groups such as the American Society of Hospital Engineers, the American Hospital Association, the Healthcare Facilities Management Society of New Jersey and the USGBC. He is a LEED accredited professional and a member of the New Jersey Chapter of the American Planning Association. For over 3 decades his focus has been in healthcare design. His interest in the health and wellness of communities has made him an advocate at AIA-NJ to improve population health through WELL building and public-space design.